Are you looking for a right Export Import software ? EIMSO can help you. Choosing the best import and export software for your distribution business can be a ponderous task for any company. 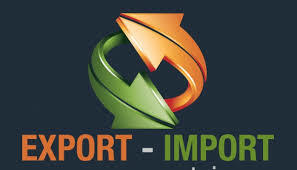 Each export import software varies according to the industry. Dealing all the management functions manually will out rate your business in the industry.The EIMSO, Export Import Management System Online is developed by Janavaras & Associates International (JAI). According to JAI, it is designed to support you as a Global Leader in your role as in Export manager or import manager in a global setting. EIMSO is a management planning tool designed to help develop a company’s import or export strategy. EIMSO consists of two dynamic software, Export Management System Online (EMSO) and Import Management System Online (IMSO). EMSO is for Company situation analysis , Global market search - choosing the right market, In-depth analysis of potential foreign markets, entry stategy and marketing plan. IMSO is for company international environment, determining company orgin ,Import stategy etc. By implementing EIMSO2, business organizations can close the gap by developing their exporting or importing plans, strategies and operations in a cost-effective and timely manner. Thereby business organizations can minimize risks associated with global expansion, strengthen their competitive edge, and increase long-term sales and profits in a dynamic global marketplace. Who should use EIMSO ? Non-exporting companies interested in export-import opportunities. International companies contemplating global expansion. Government trade specialists, trade consultants, and practitioners. If you want to develop your company's export and import , then you can go for EIMSO, Export Import Management System Online, designed and developed by JAI to customise your business requirement. It is a budget friendly software.If you want to know more about our software then you can visit www.eimso2.com. You can also try the demo version of EIMSO2 to determine whether the software fulfills your needs and requirements.